Do you personally know anybody who has served in the military? 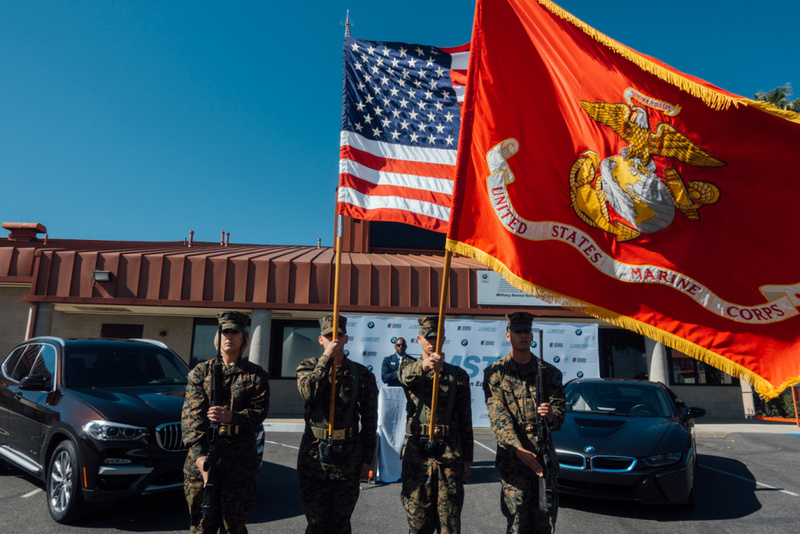 Ribbon cutting ceremony for BMW's MSTEP (Military Service Technician Education Program) at Marine Corps Base Camp Pendleton. January 15th, 2018. KPCC wants to take a look at the growing military-civilian divide in the United States. The numbers tell a story: Since the end of Vietnam War-era conscription (the draft ended in 1973), fewer and fewer Americans have served in the armed forces or know someone in their family who has joined the military. In 2016, 7 percent of U.S. adults were veterans, a decline from 18 percent in 1980. Less than 1 percent of U.S. residents currently serve in the armed forces. And a Pentagon official told the Bipartisan Policy Center in January that the number of young adults with parents who served has plummeted over the past 20 years from more than 40 percent in 1995 to just 15 percent today. The Department of Defense sees the widening gap as a recruiting problem that could endanger future military readiness. In February, it launched an outreach campaign to raise awareness among civilians and battle misconceptions about the military. Many households feel disconnected from the human toll of America’s wars in Iraq and Afghanistan. Memorial Day, a holiday originally conceived to honor troops who died in the Civil War and WWI, instead has become a day off work and the start of summer barbecue weather for a growing number of Americans. We’re calling the conversation “All Volunteer,” and we want to hear from both sides of the civilian-military divide. We've already heard from a number of military members, past and present - but we'd also like to hear from civilians, too.